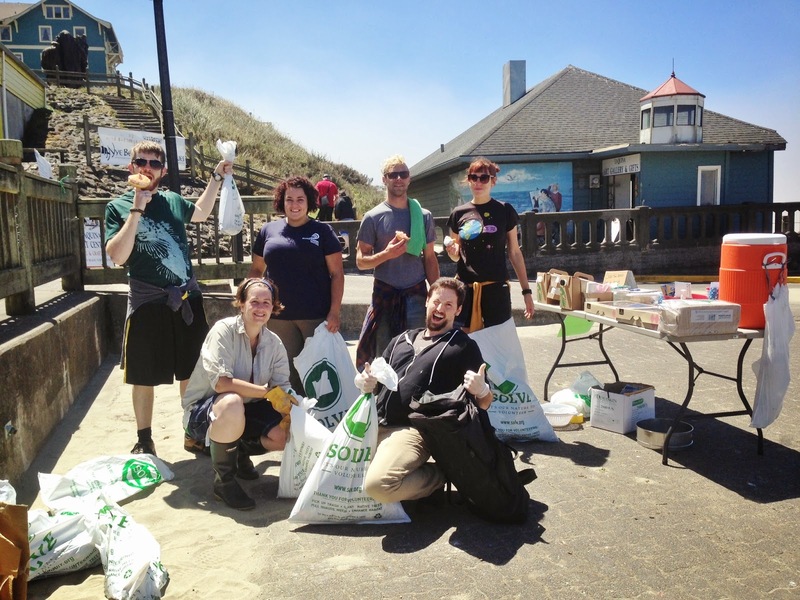 Members and volunteers from the Oregon Surfrider Foundation, OSU's Coastal Society and the American Cetacean Society gathered at Nye Beach in Newport, Oregon on Saturday for a summer beach cleanup! Volunteers enjoyed coffee and donuts, as well as a fortuitous dose of great weather and sunshine to make the experience a fun one! A large amount of the debris gathered included those notorious plastic nurdles which are very hard to clean up, and dangerous for animals which might consume them or be affected by toxins or heavy metals in the material. (Always be sure to use glove when cleaning up plastics or trash on the beach!). 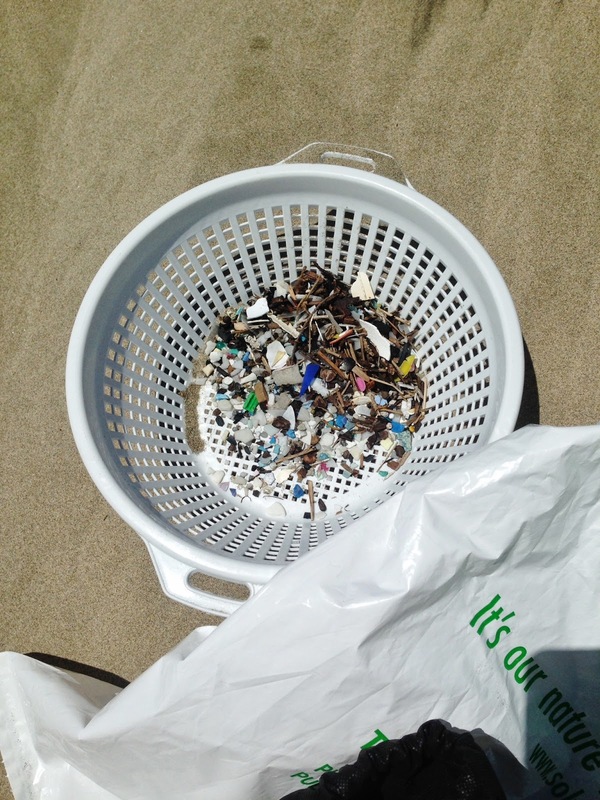 Overall, we gathered 5 bags of trash which included everything to old grill parts, to beach toys, to plastic bags. Both organizations plan to have further beach cleanups in the near future, as well as local monitoring outings for seastar wasting syndrome. 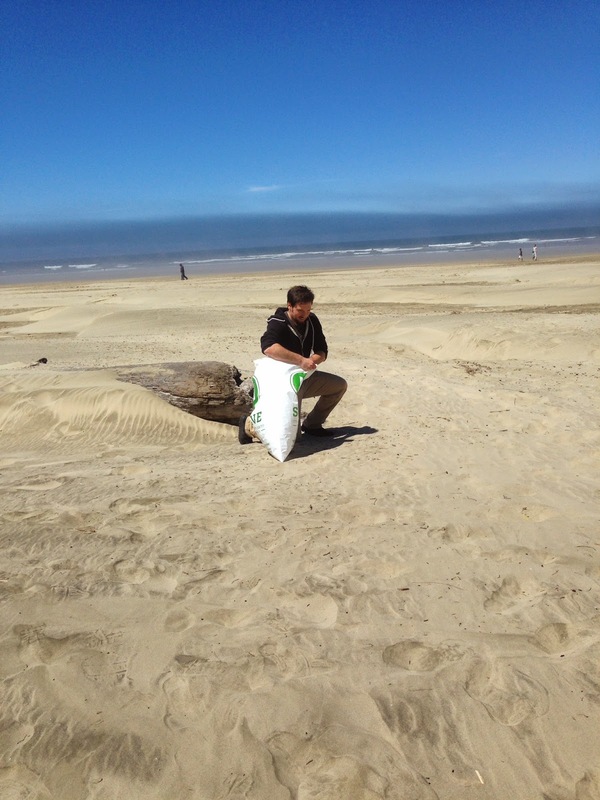 Watch my blog, or check out Oregon Surfrider , OSU's Coastal Society, the American Cetacean Society for future volunteer opportunities and events. Give back to your beaches, have some fun, and get outside by volunteering!